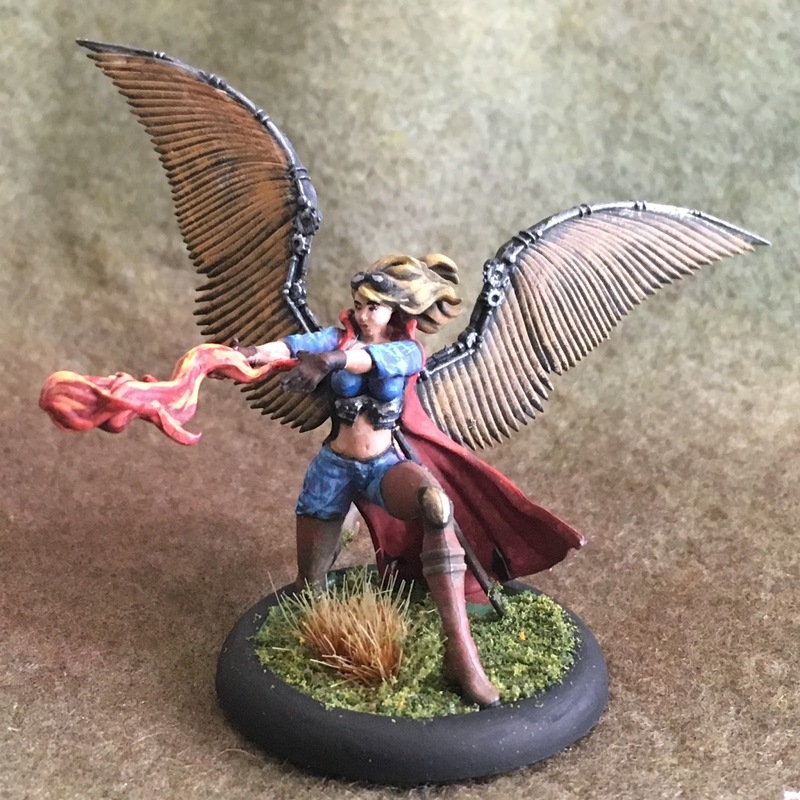 I recently finished the basing of the speed paint figures I’d done at Gencon this year, so that gave me an idea. 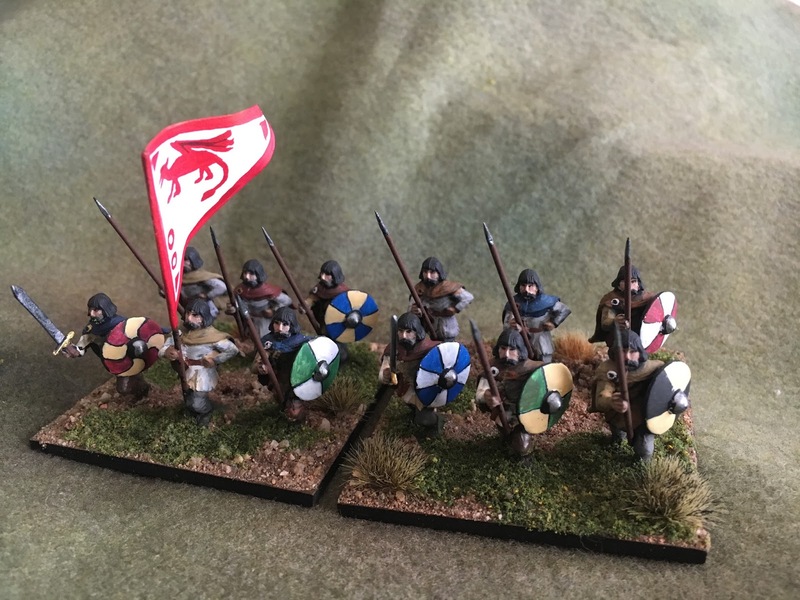 I decided to accumulate a war band (for some undetermined skirmish game) using just the speed painted figures, and whatever prizes and free figures I’d gotten. So, when work sent me to Colorado for most of last week, I took the portable paint kit and these three figures with me. 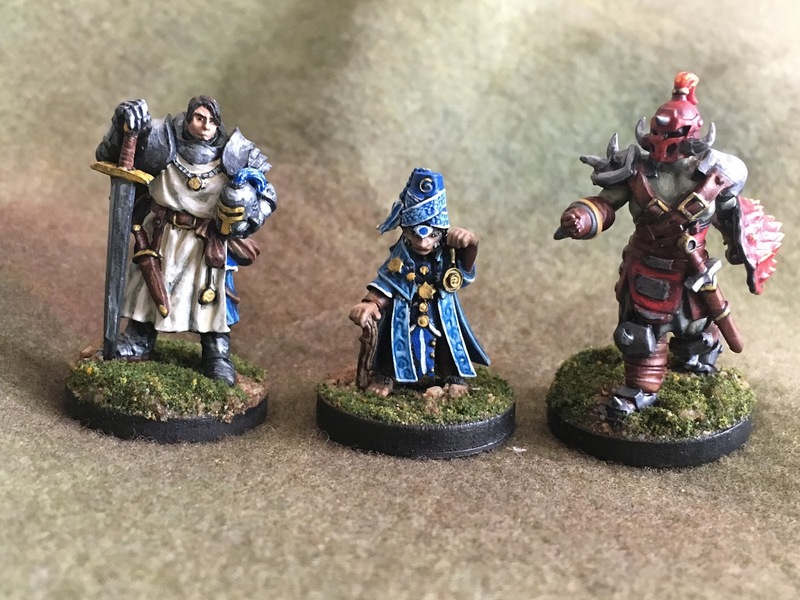 The left and center figures are Reaper Miniatures which were awarded to me for winning qualifying rounds in the preliminaries in 2016 and 2017 respectively. The figure on the right, Mr. Spiky, is a sample of 3d printing capability handed out this year at Gencon by Shapeways. I must say, I was favorably impressed with the smooth surface texture. If one needed something professionally printed, I can see where it might be worth it. Given the spikiness, I painted him in an olive skin tone as a half-orc. That leaves me with just a package of Malifaux wild boars that I got with a gift certificate from speed painting in 2015. As kits of only three to five pieces, I think that I can manage that, and I don’t expect the paint scheme to be particularly difficult. I took advantage of the federal holiday (and resulting long weekend) when I got back from Colorado to get this unit moved off my painting table. The figures are old Minifigs DA range Carolingians, from an eBay purchase, and I just wanted them done, so they come from a clan with a limited range of hair color….I expect that they will be dropped into the fantasy Byzantine campaign set-up, as part of the “Westerners”. I like the way the shields turned out on the spearmen.